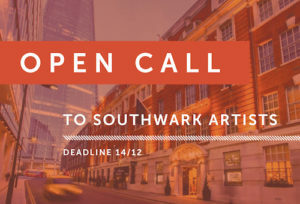 Are you an artist who lives, works or studies in the London Borough of Southwark? 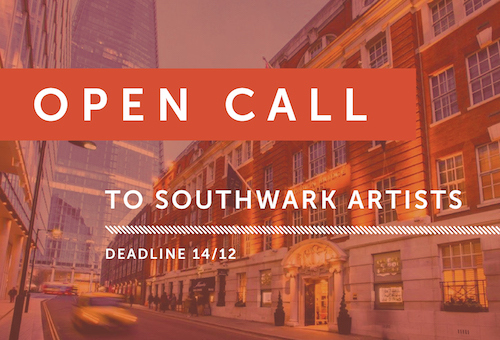 London Bridge Hotel is excited to announce an Open Call to artists from the Southwark area. In partnership with Team London Bridge, the open call will give local artists the opportunity to show a piece of work at our historic property. Starting in early 2019 the London Bridge Hotel OPEN is a new project looking to support local makers. The selection team is looking for contemporary works which can be displayed on walls, windows sills and hallways in this historic building with contemporary decor. There will be an official launch event and PR campaign to announce the OPEN. The call is open until midnight on Friday 14 December 2018. Submit a maximum of two pieces per artist. Please send submissions to londonbridgehotelopen@gmail.com.